I hope you enjoy discovering and exploring the sculptural and architectural treasures of Scotland's largest city. The website represents the culmination of more than twenty years of original research into the specialized subject of the public and architectural sculpture of Glasgow. It covers over four centuries of sculptural work, with a wealth of material from the 'golden age' of the Victorian and Edwardian eras, as well as a host of work created in more recent times. The website is now the most important resource available on the lives and work of the sculptors, carvers, architects, builders and foundries who have contributed to making Glasgow a great and internationally renowned city of sculpture. Numbering over 300 biographies, these are lavishly illustrated with images of the sculpture and buildings they produced, together with portraits of the artists themselves where available. Please bookmark this page so you can return to it later as the existing biographies are constantly being updated and new pages and images added. If you have enjoyed visiting this website and it has been of use to you in providing information or images that you have been seeking, please consider making a donation to the site. This would greatly assist us in continuing our research and photography, and in developing the website further. Many thanks for your support. Sculpture Database Our fully searchable Sculpture Database lists over 400 sculpture works in Glasgow, together with details of their locations, execution dates and the artists involved. It also gives links to image galleries and biography pages. The complete database can be sorted by street, district or chronologically. J & G Mossman Ltd, Glasgow�s oldest firm of monumental sculptors, closed its doors for the last time on 27 May 2011, bringing to an end an almost 200 year old association with the city and its sculpture. During the 19th century the firm produced an astonishing amount of sculpture for buildings designed by the city�s most famous architects, such as David Hamilton, Alexander 'Greek' Thomson, JJ Burnet, and Charles Rennie Mackintosh, to name but a few, as well as a staggering number of impressive monuments for the Necropolis and other historic graveyards, and many of the city�s fountains and public monuments. Founded by William Mossman I in 1816, his sons John Mossman, George Mossman and William Mossman II were responsible for much of the firm�s best architectural and monumental work from the 1830s, and were much sought after as artists to produce portrait busts and art works for the wealthy and famous. At the forefront of artistic life and education in the city for over 50 years, they co-founded The Glasgow School of Art and taught several other notable sculptors there and in their own studios. 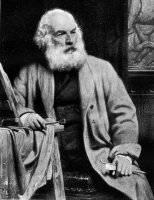 John Mossman was the most successful of the brothers, becoming the first true sculptor in the West of Scotland. Such was his contribution to the field that he deserves to be known as the �Father of Glasgow Sculpture�. After his death in 1890, the firm was purchased by Peter Smith, a former pupil and manager of Mossman�s workshop, whose family have run the firm under the name J. & G. Mossman ever since. With the closing of their showroom at 284 High Street, and the focusing of their operations at their office in Alloa and their other branches elsewhere in Scotland, the firm will continue to keep its original, historic name alive and hopefully celebrate its bi-centenary in 2016, but their departure from Glasgow is a sad loss to the city which they so magnificently ornamented and which, thanks in great part to their remarkable accomplishment, is marketed today as �Glasgow � Scotland With Style�. read more�..
Glasgow's monument to the International Brigade which fought in the Spanish Civil War of 1936-39, a statue of Dolores Ib�rruri 'La Pasionaria' (The Passion Flower'), by Arthur Dooley (1929-94), has recently been re-erected at Customs House Quay, after metal fatigue necessitated her removal for restoration. Ib�rruri (1895-1989), a fiery communist politician and one of the most passionate opponents of General Franco and his overthrow of Spanish Democracy, became famous during the siege of Madrid for rallying the defenders of the city with the cry: "It is better to die on your feet than to live on your knees". At the end of the war, with the taking of Barcelona and Franco's victory imminent, she bade farewell to the International Brigade with the words "You are history. You are legend... Come back to us and here you will find a homeland". In the years since then and the end of Franco's regime, Barcelona has become a magnet not only for veterans and historians of the Spanish Civil War, but for countless others who visit the city to experience its cultural treasures and Catalan hospitality. High on anyone's itinerary are the fantastic creations of the city's Modernist (Art Nouveau) architects, such as Antoni Gaud� and Dom�nech i Montaner, and sculptors Josep Llimona and Josep Reyn�s, amongst the city's other artists and historic and modern-day attractions. As an introduction to the work of Barcelona and Catalonia's best known artists of the Modernist era, the team at glasgowsculpture.com are pleased to announce our association with the most informative website on the subject, http://www.gaudiallgaudi.com, by Xavier Figueras. Barcelona has become something of a "homeland" for us at glasgowsculpture.com, and Xavier has become one of our closest friends in the city. It is a pleasure to contribute to his website and to share our mutual enthusiasm for our cities with him and visitors to both our sites. We earnestly hope that whenever anyone sees the statue of La Pasionaria in Glasgow, they will be reminded of not only the cause for which so many Glasgow citizens fought so bravely with their Spanish comrades, but of the freedom and prosperity that Spain and Catalonia enjoy today as a result of their long suffering and the emergence of Barcelona as a jewel in Spain's cultural crown. read more�..
American born kinetic sculptor George Rickey (1907-2002) grew up on the banks of the River Clyde, where the shipyards provided him with the beginnings of a deep fascination for engineering and mechanics. Years later, after war service and returning to the USA, he combined his early interests with a new found fascination for movement and wind currents to become a celebrated sculptor of wind driven metal sculptures. Throughout his career he maintained his links with Scotland by exhibiting works and presenting examples of his public art to towns throughout the country. His best known work in Glasgow is the kinetic Three Squares Giratory, which was commissioned by Glasgow University in 1972. After his death in 2002, the film maker Paul Kreft produced a film about the sculptures left in Rickey's studio grounds before their dispersal, and combines this with poetry and music in a magical exploration of the sculptures and their relationship to their environment throughout the changing seasons. A collaboration between several artists, with a brief appearance by the sculptor himself, George Rickey ... Works is a unique record of the sculptures in the environment that inspired them, and also a fascinating revelation of the sculptures as they were meant to be seen, moving to the "choreography of steel playing against the wind...catching the sun...reflecting in the water". Produced in 2007, the film is an excellent introduction to Rickey's world and an unparalleled opportunity to see the work of one of the twentieth century's greatest sculptors. Further information about the film, including a short trailer, and its availability to buy, can be found on Paul Kreft's website (http://georgerickey.org/film.html). read more�.. The magnificent Stewart Memorial Fountain in Kelvingrove Park is currently undergoing a �500,000 facelift which should see it restored to its former watery glory. Erected to a Gothic design by James Sellars in 1872, it commemorates Lord Provost Robert Stewart and the Loch Katrine water supply scheme of 1855-9. The fountain was carved and erected by Glasgow's most prolific firm and family of sculptors, J & G Mossman, with the firm's owner, John Mossman, modelling its sculptural details based on characters and themes inspired by Sir Walter Scott's poem The Lady of the Lake. Another prolific sculptor involved with the fountain was the less-well known James Charles Young, who made his reputation with his carving of the fountain's stonework as Mossman's assistant. Young later established his own family firm of sculptors and rivaled the Mossmans in their production of sculpture for the city's buildings. Our biographies of both sculptors have recently been updated with newly discovered information to coincide with the fountain's restoration. The work of restoring the fountain is in the hands of Hunter & Clarke, whose expert stonemasons and carvers have contributed to a number of restoration projects in Glasgow, and Fountains Direct Ltd, under the auspices of Glasgow City Council. The fountain is expected to be fully working again in August 2009. read more�.. The Guide To Mysterious Glasgow , Geoff Holder, 2009, The History Press, Brimscombe Port Stroud (192 pages, �14.99), illustrated by Geoff Holder and others. One of the most fascinating books ever published on Glasgow�s mysterious places, sculptures and events, Geoff Holder's superb book is a street-by-street description of all things bizarre and supernatural connected with the city. Illustrated with over 100 photographs, many of them detailing the carved ornament on Glasgow's buildings and revealing the stories and myths behind them, the book is an entertaining and enthralling compendium of tales of the unexpected and, until now, the unexplained. With its accounts of the macabre and curious, and the miracles, hauntings, witchcraft, UFOs, vampires, murderers and bodysnatchers that have become part of Glasgow's folklore and hidden history, The Guide To Mysterious Glasgow will transform the way you experience the city. The team at glasgowsculpture.com congratulate Geoff on the publication of this fascinating book, and heartily recommend it to our visitors as an exceptional and invaluable addition to the literature on Glasgow's history and sculpture. Information on Geoff's other 'mysterious guide-books' can be found at http://geoffholder.co.uk/. The Guide To Mysterious Glasgow can be ordered via glasgowsculpture.com by clicking here . Glasgow's statue of Robert Burns (1759-96), the world's most popular poet, is the focal point of the city's annnual celebration of his birth on 25th January. This year marks the 250th anniversary of his birth and the Scottish Government has designated this momentous occasion and the country's celebrations as the centre-piece of its year-long Homecoming Scotland 2009 festival. Situated on the south side of George Square, the statue is one of the finest erected to his memory in Scotland, and is one of at least fifty others erected to him worldwide. The work of George Edwin Ewing (1828-84), it was unveiled on 25th January 1877, and completed a decade later by his brother James A. Ewing (1843-1900), who added three relief panels to its pedestal illustrating scene's from some of Burns' best known works, including Tam O' Shanter. In offering our own congratulations to the Bard, together with our best wishes for the Homecoming Scotland festival, we have updated the statue's images page and the biographies of its sculptors as our contribution to the year's events. We have also updated our January 2002 Newsletter article on Glasgow's other Burns sculptures, Inside Story: Robert Burns in Glasgow, and have also linked this to his statue page as a companion piece. read more�..
A battery of Russian guns captured during the Crimean War of 1854-6, the Crimean War Trophies were the first monuments erected in Kelvingrove Park, and this summer marked the 150th anniversary of their arrival during the first week of July 1857. These historic monuments disappeared long ago and, until recently, no detailed photograph of the guns was known to exist. Thanks to the discovery of a magnificent photograph taken shortly after the guns were put into position, found by Gary Nisbet, of glasgowsculpture.com, we are now able to reveal how the battery and its location looked after they were erected as a finishing touch to this section of the park. This unique, contemporary record of the guns on Park Terrace is published here for the first time, together with their history, to mark their otherwise forgotten 150th anniversary. read more�..
Glasgow�s newest public memorial was unveiled on Saturday, 1st September 2007, to mark the 150th anniversary of the Victoria Cross, Britain�s highest award for gallantry, and to commemorate its Glaswegian recipients, to whom the memorial was dedicated at an impressive ceremony at the Necropolis. The team at glasgowsculpture.com were invited to the event and we now have the pleasure of presenting a gallery of our images recording this historic occasion. read more�..
William James Maxwell (1842-1903) has been identified as a missing link in the history of Glasgow's famous Tontine Heads. Carved in the 18th century and supplemented with four new heads in the 1870s, the later heads have hitherto been attributed to Archibald Macfarlane Shannan (1850-1915). However, it has now been discovered that their carver was infact the little known architectural sculptor William James Maxwell. After carving the heads he emigrated to Adelaide, Australia, where he made important contributions to that city's architectural and public sculpture. Thanks to his great granddaughter, Paula Ritchie, who contacted us recently, the fascinating story of Maxwell's life and work in Scotland and Australia can now be revealed. read more�..
Sunil Richardson, a surgeon practicing in Nagercoil, near Kanyakumari, in southern India, is the proud owner of two eagles cast by Macfarlane�s Saracen Foundry for a gateway in the town in the late 1800s. Sunil contacted the team at glasgowsculpture.com whilst researching their origins and is pleased to share the story and images of these rare items with our readers. read more�..
Death By Design: The True Story Of The Glasgow Necropolis , Ronnie Scott, 2005, Black And White Publishing, Edinburgh (122 pages, �5.99), illustrated by Pol Cavin. The first book published on Glasgow�s most famous graveyard, The Necropolis, for over 100 years, Ronnie Scott�s Death By Design The True Story Of The Glasgow Necropolis, is destined, like its literary forebears, to become a classic on the subject. Launched at Borders Bookshop on 9th June 2005, it can be enjoyed from the comfort of an armchair or as a companion in the field as the most up-to-date pocket guide to the Necropolis� residents and the designers of its magnificent monuments. Ronnie is a PhD graduate of Glasgow University and a co-founder of the Friends of Glasgow Necropolis. Thanks to Ronnie�s enthusiasm for the subject and his witty narrative, death has rarely been so much fun, or so fascinating in its detail. Information on the Friends of Glasgow Necropolis can be found at http://www.glasgownecropolis.org. Death By Design can be ordered via glasgowsculpture.com by clicking here . After discovering the many magnificent sculptural and architectural treasures that Glasgow has to explore, comfortable Glasgow accommodation is a must. Citybase Apartments are providers of serviced apartments, which are the perfect tourist accommodation in Glasgow. We were honoured by RIBA, Royal Institute of British Architects by having our website named as Site of the Day. That was from Friday 22 March 2002 until the following Wednesday. You can visit the RIBA website at architecture.com. Gary Nisbet's site is one of the best sculptors' biography sites I have seen on the web. I wish other cities had the foresight to do the same. Gary's research and Tim Gardner's web skills are producing an outstanding resource!